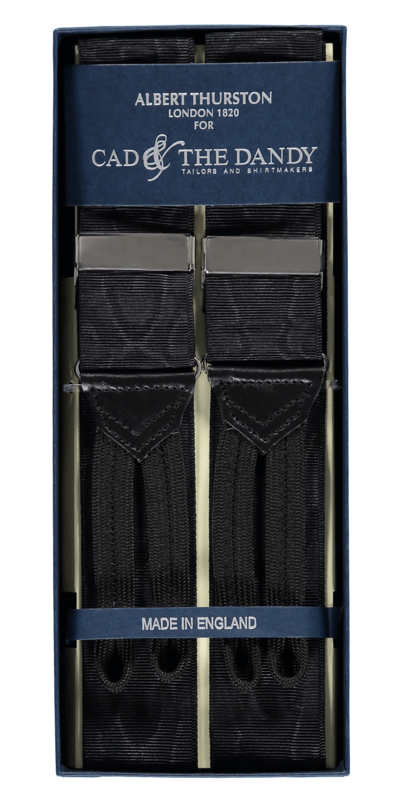 Classic black silk moire braces, finished with solid nickel fittings, black leather trim and black silk ends. 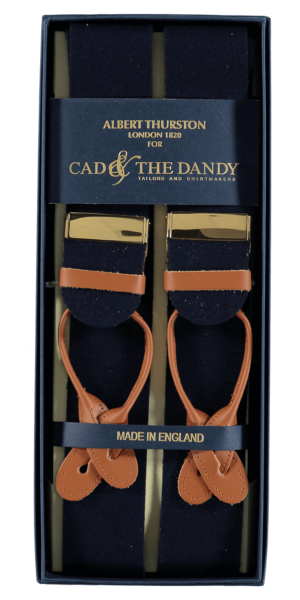 Designed and made in the UK. 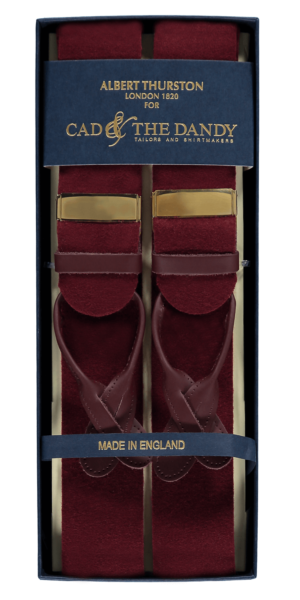 Manufactured since 1820, Albert Thurston silk moire braces are the benchmark of superior quality in gentlemen's suiting accessories. 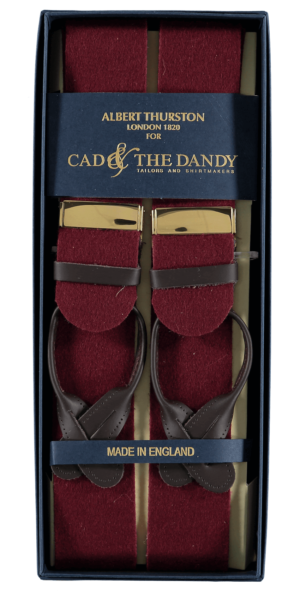 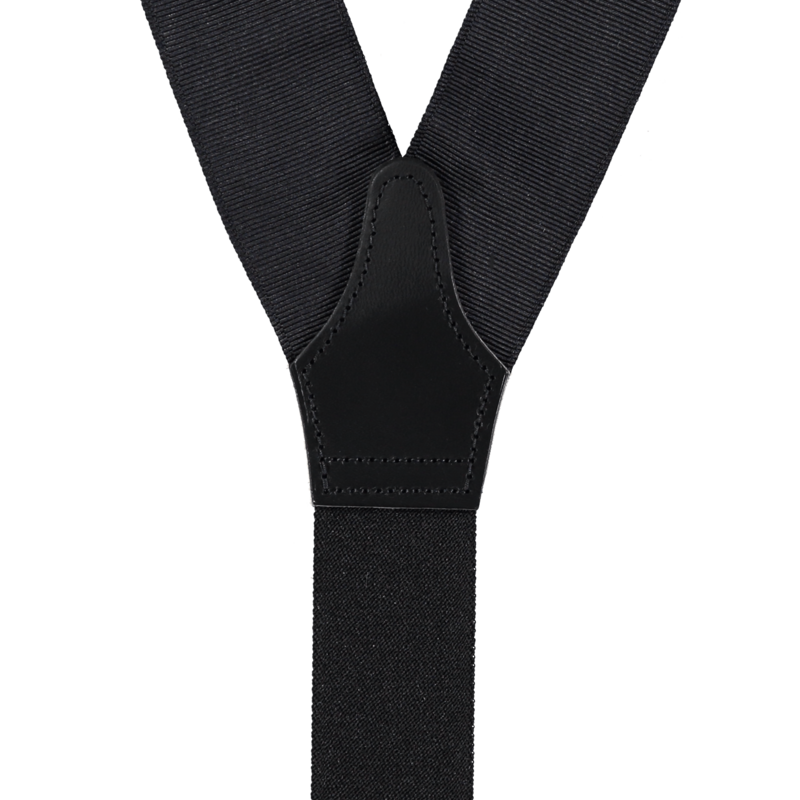 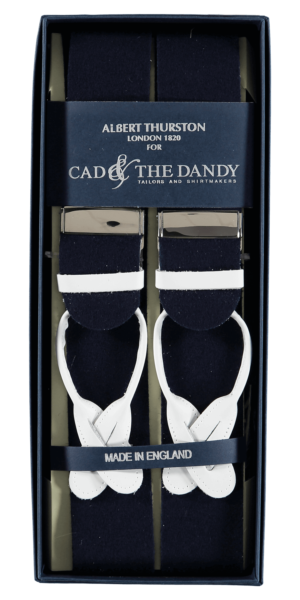 Popularised by Daniel Craig, as James Bond, these black silk moire braces are the last word in formal occasion-wear.